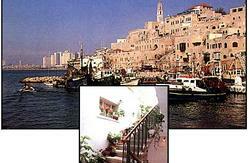 We are a small hostel located in the most attractive place in Tel Aviv, the beautiful coast. Right in the middle of the long beach pavement of Tel Aviv. 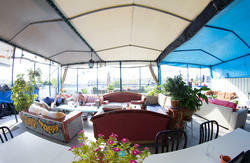 Instead of having another premium hotel or luxury flats for rent as many as already exist in this nearby location, we decided to raise the quality standards of a typical Israeli hostel and to create a comfortable place with a Wild stating design using classic Black color, and created a boutique hostel. This one of kind hostel is wild but simple, luxury but affordable for a very low cost stay but no compromise on design and location. We at Black&Wild boutique hostel will be delighted to assist you to plan your day by night potential activities in Tel Aviv or in your next destination in Israel. With the free WiFi in our hostel (and in most public places in Tel Aviv) and the free Tablet device we provide to each of our guest! It's even easier to be up to dated with all the different going on attraction. 'Tel Aviv Hahagana' train station: Buses Number 4,104,204. 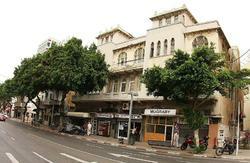 All of the buses stop at the corner of 'Ben Yehuda' St. and 'Bugrashov' St. (our street). The hostel is 100 meters away from there.